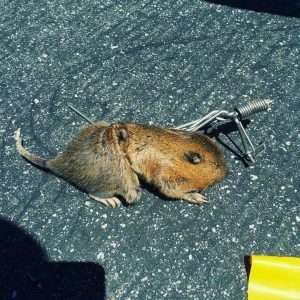 Here are a couple pictures of our technician Joseph and his successful gopher trapping service that he provided for one on our many satisfied customers. Gopher trapping is a good alternative that we offer for those who would rather not use gopher bait. Gopher trapping services are usually done as a three part service all done within a few weeks. The technician will inspect all the gopher mounds and tunnel systems it has created and will determine the best locations to install the traps underground. 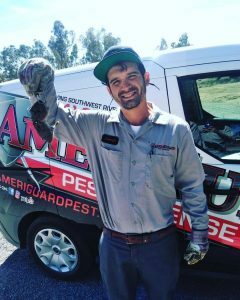 If you are having a tough time trying to get rid of gophers on your own and need professional help, call your local professionals at AmeriGuard Pest Defense today. 951-652-0505. Click on the follwing link to follow us on Instagram and see what we are upo to on a daily basis.